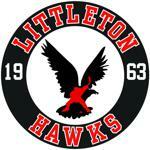 The Littleton Hockey Association's Skating Treadmill and Skills Pad is the ideal training environment for a player of any age or ability to improve upon their current skill foundation. The skating treadmill is the #1 off-ice skating development tool you will ever use. Whether you are looking to perfect your stride, edge control or conditioning, the treadmill is there for you. LHA offers individual and group sessions. Training sessions are scheduled through Brian TenEyck (brian@littletonhockey.org). Current time slots are between 10:00am and 2:00pm, Monday through Friday. Additional time slots may become available depending on demand. In addition to perfecting a player's skating ability, LHA's coaches will help your player become more proficient in shooting, stickhandling and passing. Forwards and Defenseman are not the only players who can be trained in this area. LHA's Goalie Coaches, David Nowicki and Dillon Whalen, are available to train your son or daughter on the skills pad. Please contact Brandon Reich-Sweet to schedule lessons and to get individual and group rates.